Please note that the content of this book primarily consists of articles available from Wikipedia or other free sources online. 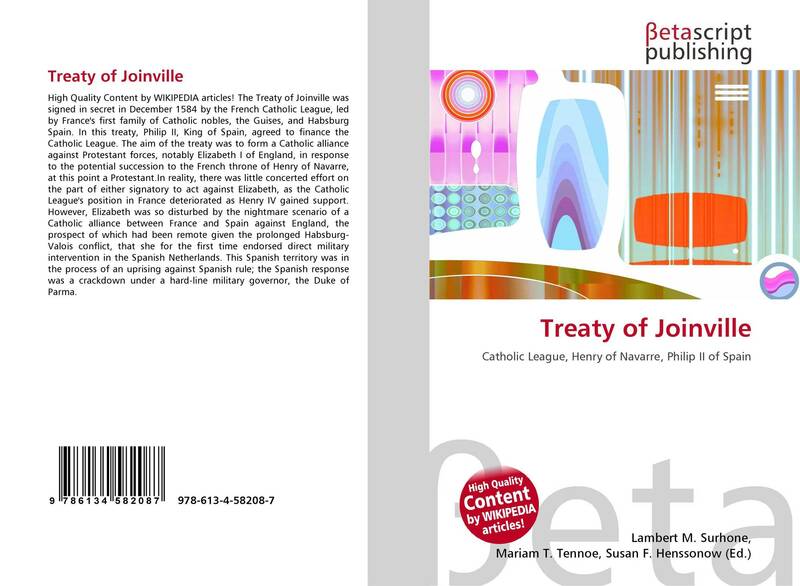 The Treaty of Joinville was signed in secret in December 1584 by the French Catholic League, led by France's first family of Catholic nobles, the Guises, and Habsburg Spain. 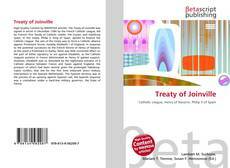 In this treaty, Philip II, King of Spain, agreed to finance the Catholic League. The aim of the treaty was to form a Catholic alliance against Protestant forces, notably Elizabeth I of England, in response to the potential succession to the French throne of Henry of Navarre, at this point a Protestant.In reality, there was little concerted effort on the part of either signatory to act against Elizabeth, as the Catholic League's position in France deteriorated as Henry IV gained support. However, Elizabeth was so disturbed by the nightmare scenario of a Catholic alliance between France and Spain against England, the prospect of which had been remote given the prolonged Habsburg-Valois conflict, that she for the first time endorsed direct military intervention in the Spanish Netherlands. This Spanish territory was in the process of an uprising against Spanish rule; the Spanish response was a crackdown under a hard-line military governor, the Duke of Parma.